Your wedding is unique therefore your wedding film package needs to be unique. Using our al a carte wedding film menu we will customise a Melbourne Wedding Video package to your needs. You have the ability to add films before and after your wedding, giving you flexibility to ensure you get the films you desire. Whilst every wedding is different and we custom quote each wedding, the average minimum investment for each couple starts at $2000. We love weddings and love capturing and telling stories. It is not uncommon to have a bride-to-be call us, telling us that she was in tears watching our work online. We want our work to connect with your emotions. Weddings are an emotional day and this is one of the reasons why we emphasise the importance of wedding videos. You make a serious commitment on your wedding day and at Hitched Productions we are committed to delivering an exceptional experience and product. It is for this reason that we shoot with two operators, multiple cameras and countless audio sources. We do not outsource your wedding shoot and we do all our own editing. At Hitched Productions we take the time to learn about you as a couple, we help you with the planning for your day and we capture your story and then retell it in our films. Matt and Tanya were amazing to have as our videographers for the day. They were very professional, very easy to have around and were part of the reason our day flowed so well. Nothing seemed to go wrong. We are also in love with our wedding video. It still brings me to tears everytime we watch it. It captures my husband's and I love for each other and the magical romantic moments that happened throughout the day. We will treasure it forever! Matt and the team was fantastic captured all the beautiful moments of our special day and I couldn't have asked for a better video. Not only was Matt so professional and happy to answer any questions he was brilliant to work with on the day. He went ahead and did what he needed to do in order to pull together our video and let me get ready and remain relaxed. Its important to surround yourself with people who you will work well with you on the day and Matt and his team did exactly that. We can't believe how quickly he turned around the video and it was so lovely to be a able to watch the video so soon after our big day. A massive thank you from Craig and I we will absolutely be recommending you to family and friends. Hi Matt, We just wanted to say thank you sooo much for our video. We absolutely love it. I must say I've watched it a fair few times already. We're so glad we ended up opting for a video and even people who initially said you probably don't need one have now seen it and are saying I think that's the best thing we did! We've had so many compliments on the trailer and now the feature so thank you! An unbelievable team! You two are truly amazing at what you do...and everything else to do with weddings too. We are forever grateful for what you two did to make our wedding day so memorable. Thank you! Hey Matt, IT’S FANTASTIC!!!!! Oh wow…just wonderful. Thank you so much. We are very happy and can’t wait to show everyone! Our film sums our time up perfectly and the kids, speeches… wonderful. We had a great day and honestly, we didn’t notice you and Tanya being there (which I thought might have been an issue seeing you are so tall! lol.. alas you were both so discrete and professional). You were both terrific on the day, helping Erin and I to feel at ease and relaxed and it was great how you worked along side Sean (Touch of Flash). Thanks so much to both you and Tanya for sharing and being a big part of our day. We loved every minute of itThanks again, Matt. We would highly recommend you. If you connect with our work, the next step is for us to connect with you. We customise all our quotes to suit our couples so as a starting point please complete the below fields so that we can start planning and quoting your wedding video. 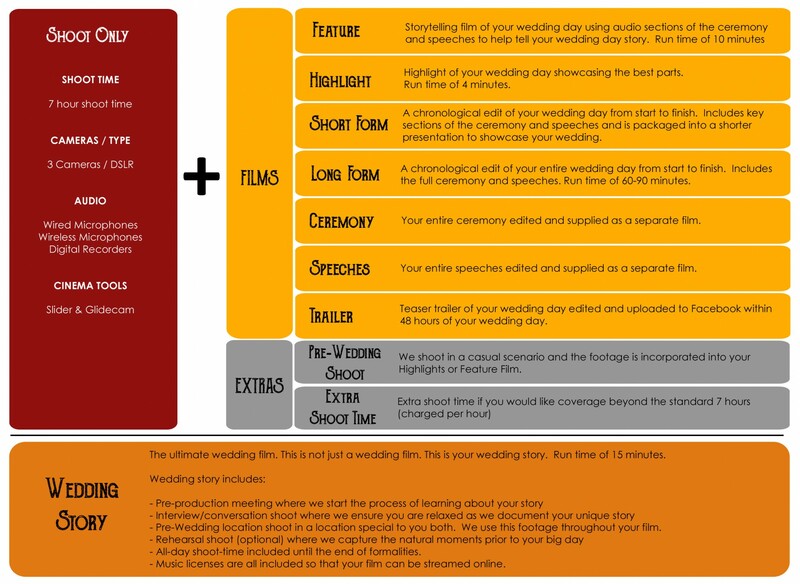 Shorter, narrative films such as the Feature or the HighlightLonger chronological films such as the Short Form and Long FormWe like the idea of the wedding story which is a totally unique filmOther – please list film(s) in the “Your Message” box below.